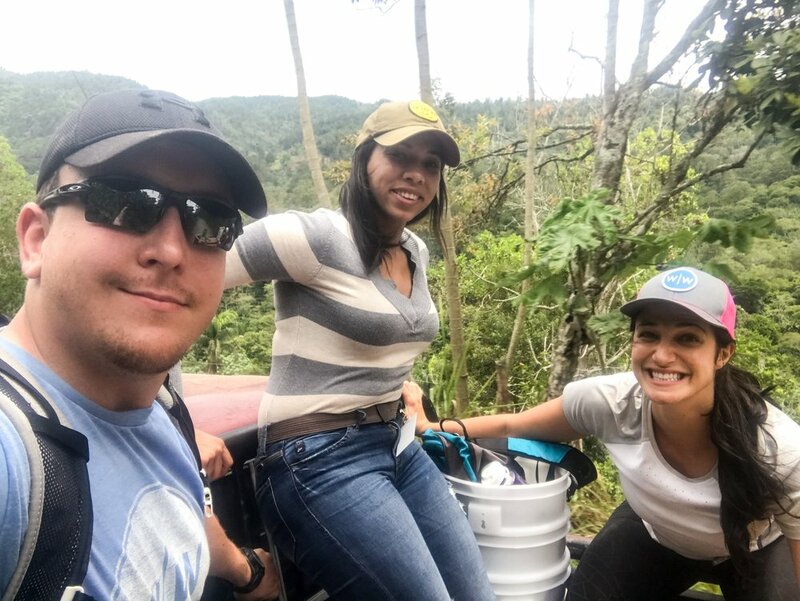 During a volunteer trip in the Dominican Republic this month, we had the opportunity to distribute 25 filters in the remote communities of El Dulce and El Manguito, both located in Los Dajaos. 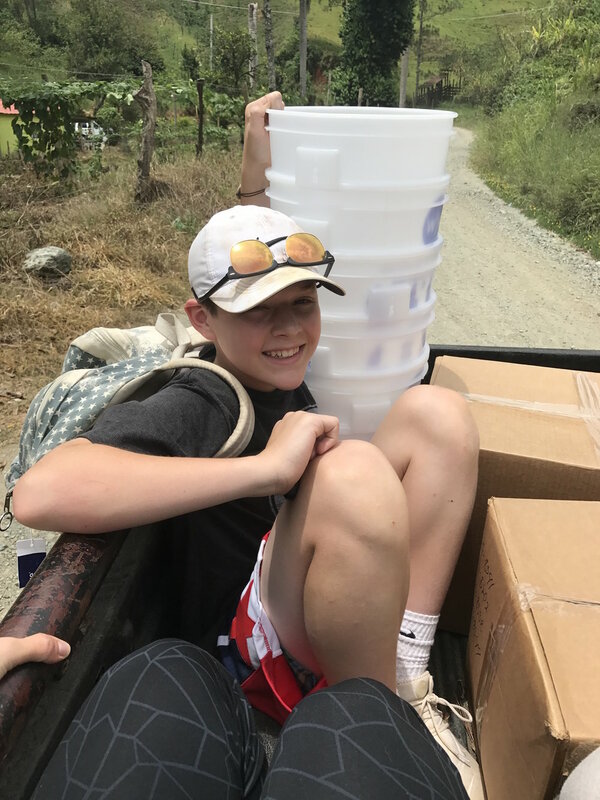 Due to the unpaved and washed away roads, we had to split the distribution in half between two different communities on the side of the mountain, all taking turns riding in the back of a small pickup truck, filters, buckets and all. Our ground team with another volunteer group back in October 2016, the Charlotte chapter, made a distribution in the same community. This provided our team in July the opportunity to spend an entire day in this community, without spending the time and money on transportation to head back down the mountain for lunch and then back up. Because of that distribution last year, a small neighborhood, in-home restaurant has been using filtered water to wash and prepare food, as well as to clean dishes, and we were able to share a meal with the locals there. Had there not been a filter there in that community, there would have been no guarantee that the food would not have made us sick due to contaminants. It was in that moment that I realized we were truly in a community in the midst of transformation.